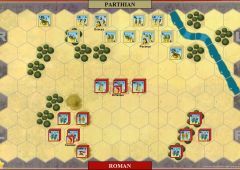 After his victory at Philippi, Mark Antony was intent on waging war against the Parthians and avenging the defeat at Carrhae. Anthony sent Pubulius Ventidius Baussus ahead to pave the way. 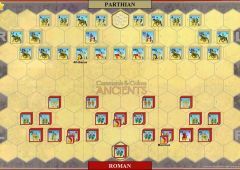 Ventidius was one of the most successful Roman generals who fought the Parthians. 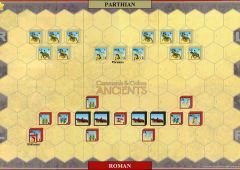 His use of ranged weapon troops and terrain to combat the Parthian cavalry gave him several victories. Ventidius marched into Syria and encountered Quintus Labienus, a renegade Republican officer who had served under Brutus and then joined the Parthians. Ventidius gave chase, tracking Labienus down at the Cilician Gates, the main pass through the Taurus Mountains that separated Cilicia from Anatolia. 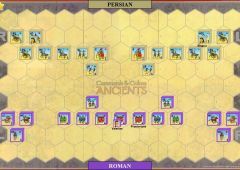 Ventidius made camp on the heights while Labienus, expecting Parthian reinforcements, camped a short distance from the away. 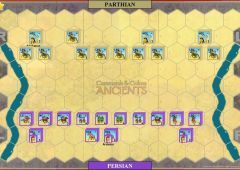 The Parthian cavalry under Pacorus soon arrived. 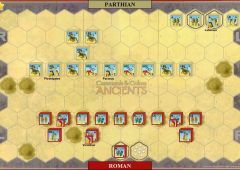 Utterly fearless of the Romans, the Parthian horsemen did not wait to join Labienus but instead directly charged the heights. 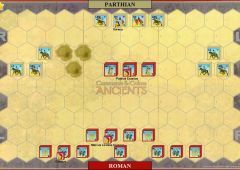 The Roman force, well supplied with missile troops and benefitted from the terrain, repulsed the attack and drove off the Parthians. 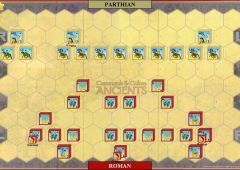 The surviving Parthians fled to the Labienus’ camp. Labienus avoided the fight and managed to escape again after dark. 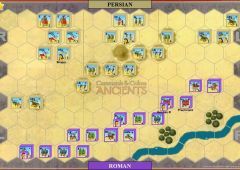 The way was now clear for Antony to invade Mesopotamia. 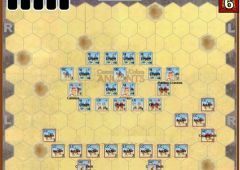 When a unit occupies an enemy camp hex at the start of the owning player's turn, remove the camp terrain tile hex and collect one Victory Banner. 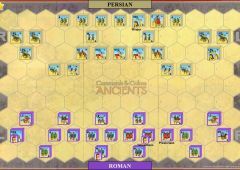 The Julian Legions rule is in effect for the Romans.